Not Getting Notifications On Apple Watch? Here's The Solution. 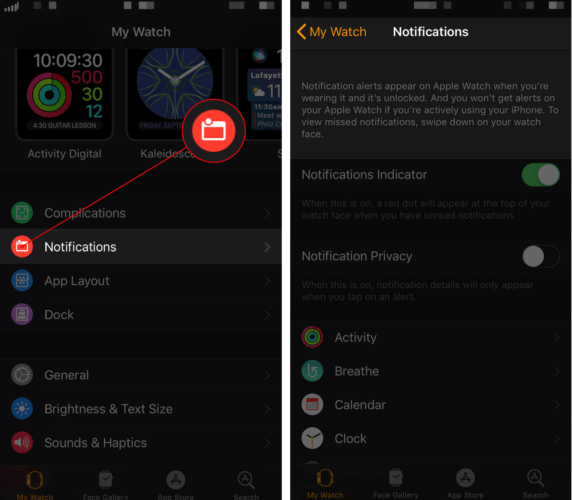 You are at:Home»Apple Watch»Not Getting Notifications On Apple Watch? Here’s The Solution. You aren’t receiving notifications on your Apple Watch and you don’t know why. You’re not being alerted when you receive new texts and emails and it’s starting to get frustrating. In this article, I’ll explain why you’re not getting notifications on your Apple Watch and show you how to fix the problem for good! Alerts for new notifications only appear on your Apple Watch when it’s unlocked and you’re wearing it. You won’t get any notifications alerts on your Apple Watch if you’re actively using your iPhone. 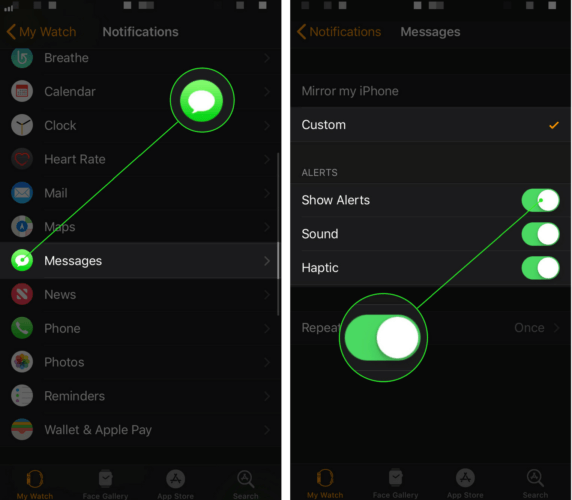 Both of these notes can be found at the top of the Notifications menu in the Watch app on your iPhone and I’m willing to bet one of them may be the reason why you’re not getting notifications on your Apple Watch. When Do Not Disturbed is turned on, your Apple Watch won’t alert you when you receive a email, text, or other notification. Your Apple Watch will still receive the notifications, it just won’t alert you to let you know when you received one. 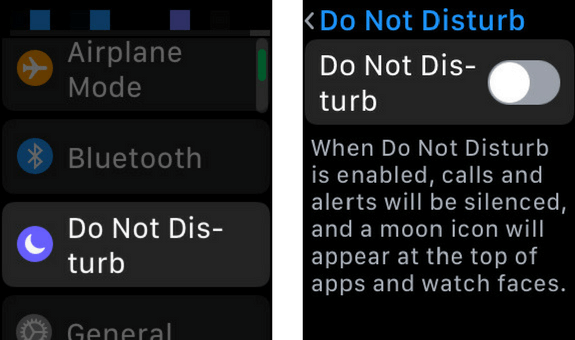 To turn off Do Not Disturb on your Apple Watch, open the Settings app on your Apple Watch and tap Do Not Disturb. Make sure the switch next to Do Not Disturb is turned off. As I mentioned at the beginning of this article, your Apple Watch will only receive notifications when you’re wearing it. However, there may be an issue with the sensor on the back of your Apple Watch that determines whether or not you’re wearing it. If the sensor is broken, your Apple Watch may not be able to tell that you’re wearing it, so you won’t receive notifications. You can work around wrist sensor issues by turning off Wrist Detection entirely. 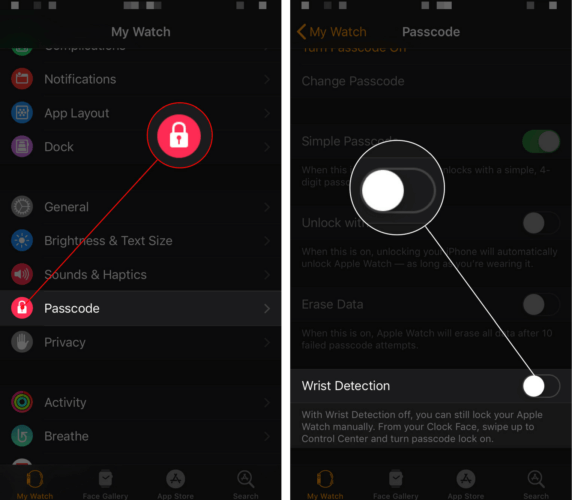 Go to the Watch app on your iPhone and tap Passcode. Then, turn off the switch next to wrist detection and confirm your decision by tapping Turn Off when the confirmation appears. Note: When you turn off Wrist Detection, your Apple Watch won’t automatically lock and some of your Activity app measurements will be unavailable. When you’re ready to get your Apple Watch repaired, schedule an appointment at an Apple Store near you. Apple may repair your Apple Watch for free if its covered by AppleCare. Not Receiving Notifications For A Specific App? If you’re not getting notifications on your Apple Watch from a specific app, then you may have accidentally turned off alerts for the app. Go to the Watch app on your iPhone and tap Notifications. When you scroll down, you’ll see a list of the apps installed on your Apple Watch. Find the app that you’re not receiving notifications from and tap on it. If you have custom settings setting up for the app, make sure the switch next to Show Alerts is turned on. You’ll know Show Alerts is on when the switch next to it is green. 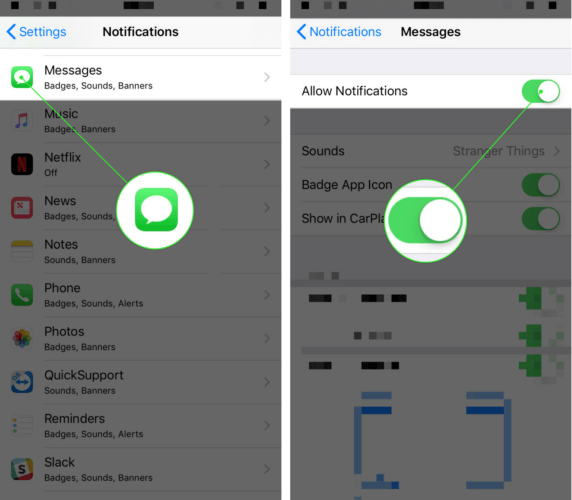 If you’re mirroring the notification settings on your iPhone for the app, go to the Settings app on your iPhone and tap Notifications. Next, scroll down to the app you’re not receiving notifications from and tap on it. Finally, make sure the switch next to Allow Notifications is turned on. Notifications are working on your Apple Watch and you won’t miss any more important alerts. Now you’ll know just what to do next time you’re not getting notifications on your Apple Watch. Thanks for reading and feel free to ask any other questions you have in the comments section below. 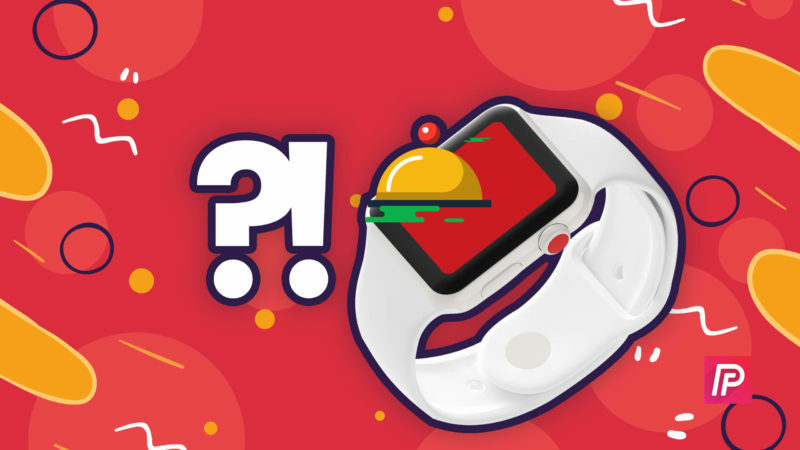 Previous ArticleApple Watch Stuck On The Apple Logo? Here’s The Fix! Next Article iPhone Notifications Not Working? Here’s The Real Fix!